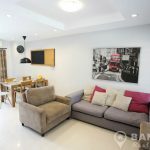 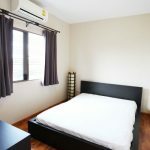 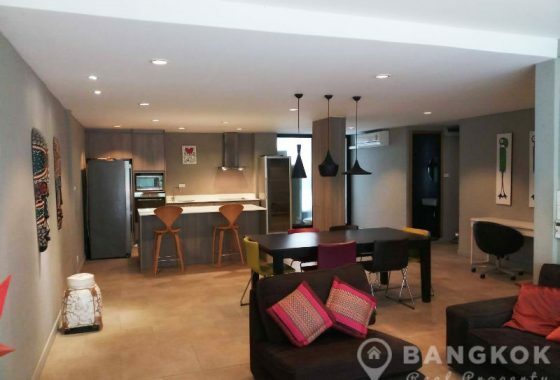 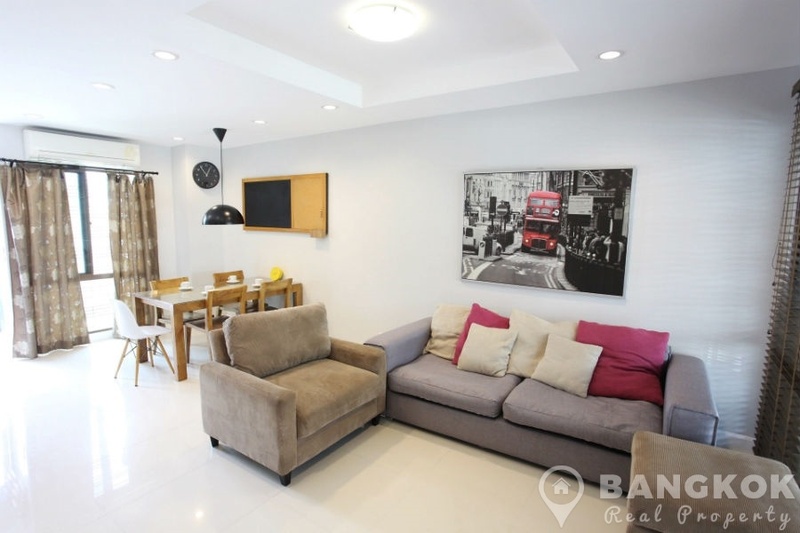 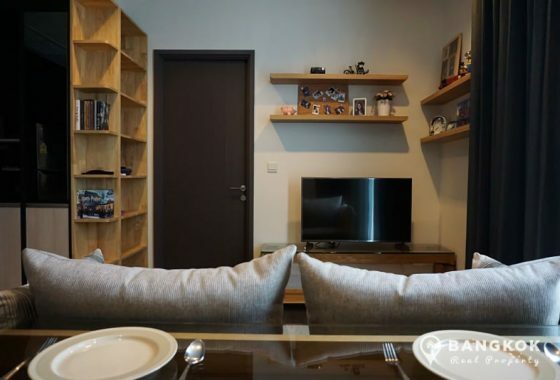 The 1st rental for this end of terrace Bangchak Townhouse with 3 floors is available to rent located ust off Sukhumvit 97 and just 800 metres from Punnawithi BTS station. 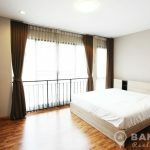 Set is a secure compound with 24 hour security and gated entrance, this development offers residents easy access to local amenities including Tops Market @ Piyarom, Tesco Lotus On Nut, Big C Center, the brand new Century Movie Plaza & Mall and several international schools including Wells and Bangkok Prep. 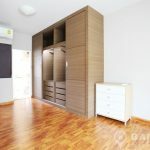 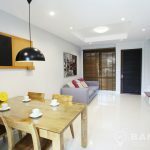 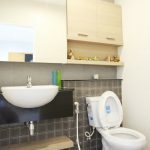 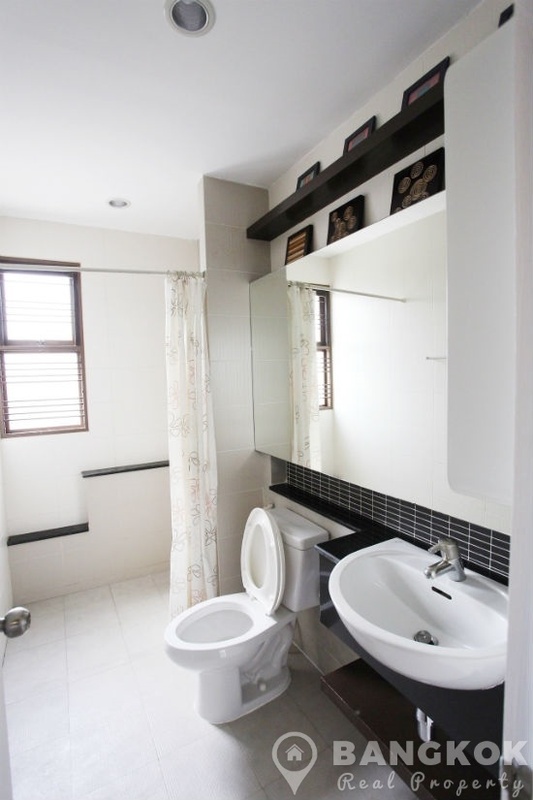 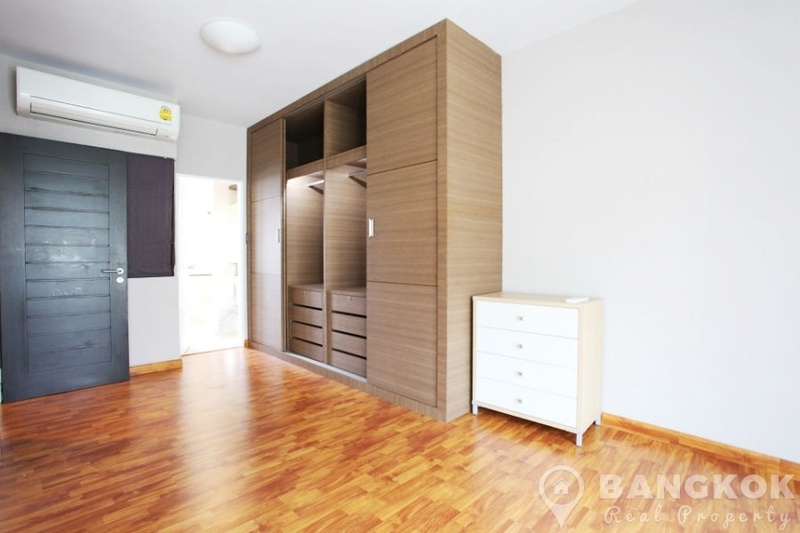 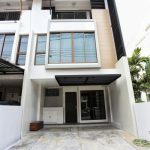 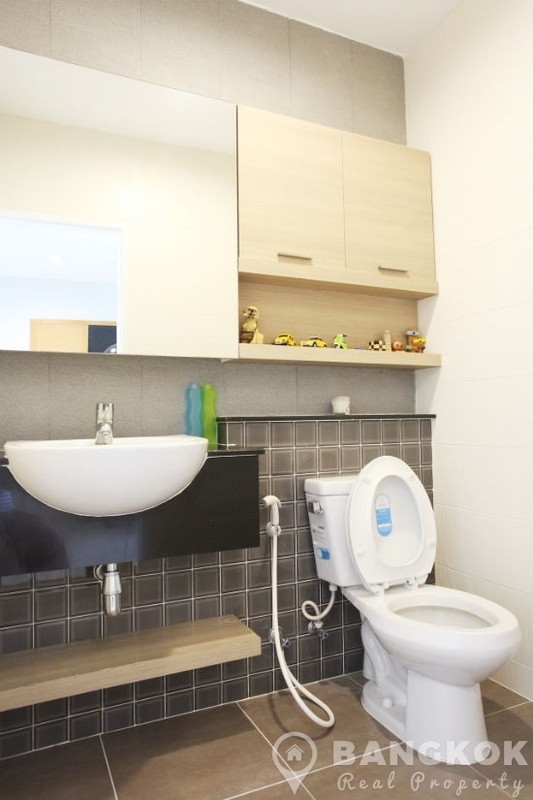 This modern Bangchak Townhouse has 3 double bedrooms, 4 modern bathrooms (with power shower) and 170 sq.m of living space. 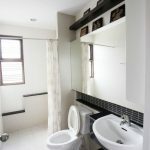 The house is fully furnished, with ceramic floors (downstairs) and wooden floors (upstairs), air conditioning in all rooms, open plan living – dining room, seperate kitchen, guest bathroom (powder room) and upstairs 3 double bedrooms with ensuite bathrooms. 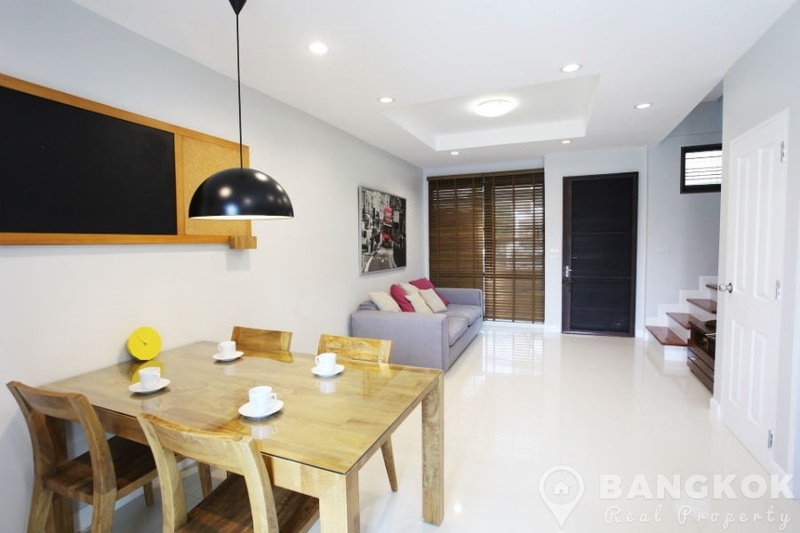 There is off street parking for 2 cars and the compound has well maintained landsacped grounds. 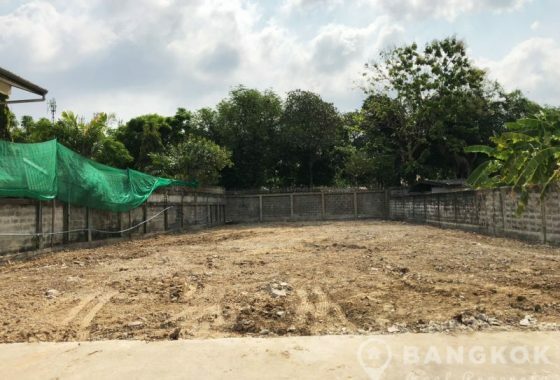 Note: There is no swimming pool or gym in this compound. 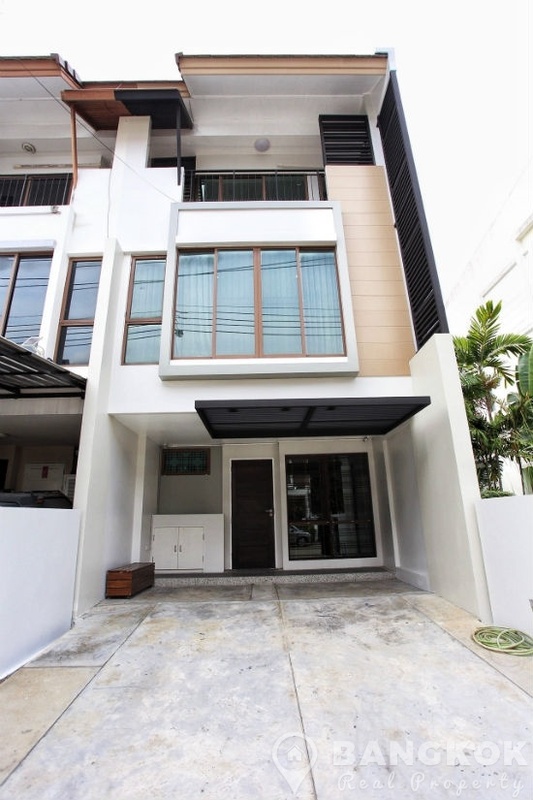 This townhouse is set in a secure compound of 35 townhouses with 24 hour security an gated entrance. 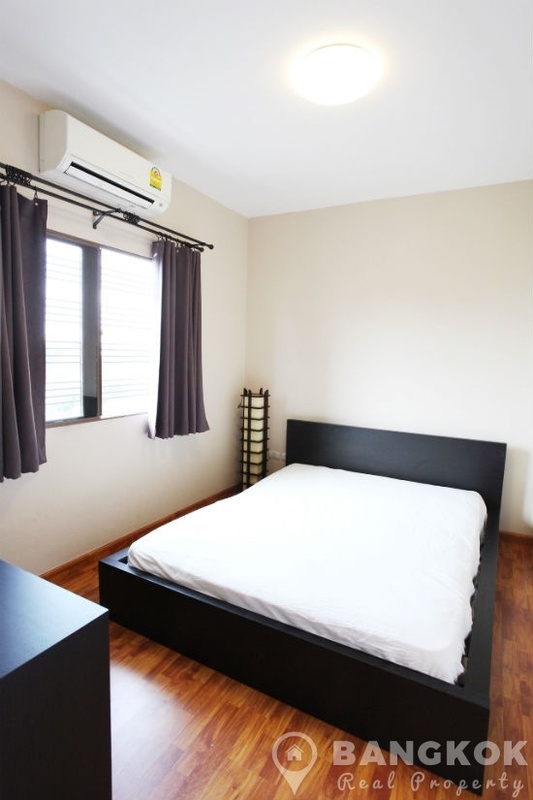 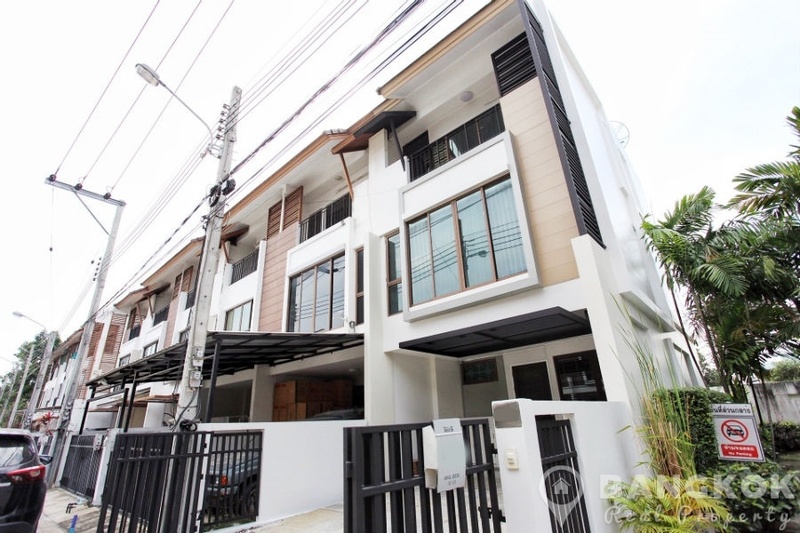 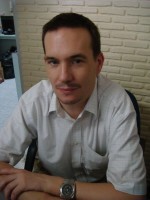 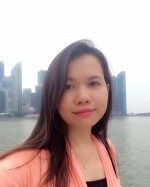 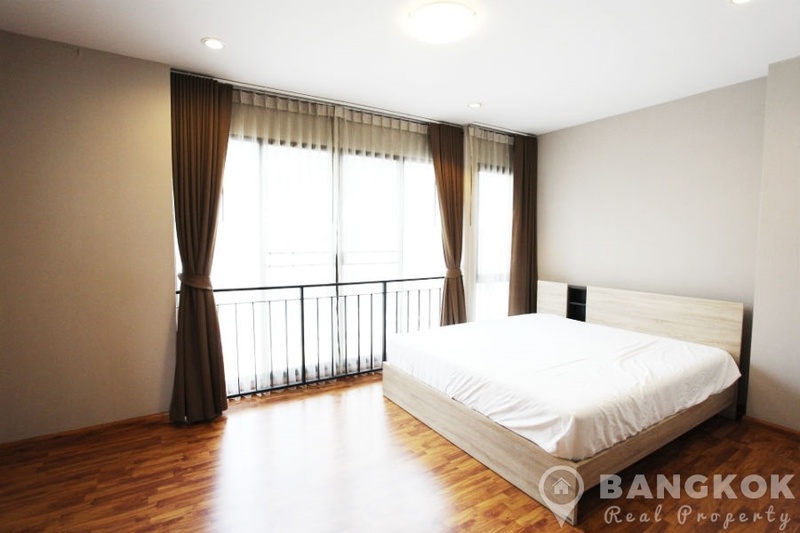 The compound is located just off Sukhumvit 97 and just 800 metres from Bangchak BTS.